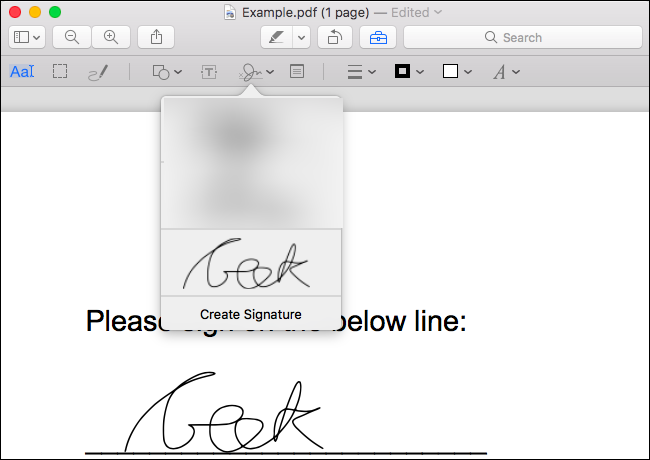 A slightly different blog post today – a quick guide to some easy ways to sign PDFs without printing and scanning them. When you book me in, I’ll send a full legally binding contract to ensure that everything is agreed and in writing. 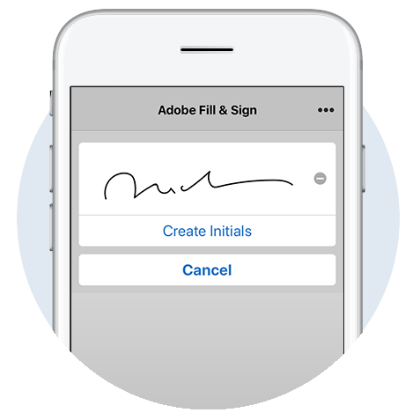 With the technological advances in smartphones and tablets, it’s now very quick and easy to sign the contract on your device and email it back to me. I encourage everyone to email me the contract where possible – paper copies via post are still fine, but when I receive a paper copy I’ll then digitise it and destroy the paper copy – so it makes sense just to receive it digitally in the first place! With the advent of GDPR, it’s harder now to store paper securely in line with the regulations – much easier to keep it in secure digital format. 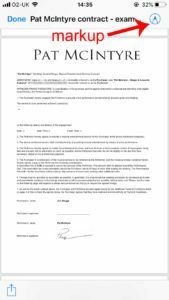 Open the PDF contract attached from your email and tap the ‘markup’ button (looks like a pen). When you’ve signed on the line, tap ‘Done’ then tap ‘Reply All’. A little more complicated, so I’ll defer to people who know what they’re talking about! 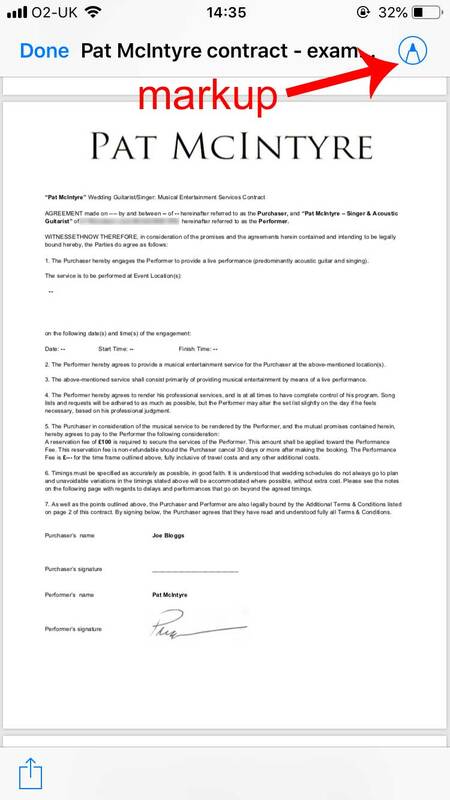 If you don’t fancy trying the electronic method, you can of course just print the contract and sign it by hand. Once signed, you can either scan the signature page or take a photo of it (as long as it’s clear and legible), then return to me via email. And finally… you could even post the contract to me! Remember the days when we used pen, paper and the post box?! Ha ha! That’s still absolutely fine. As mentioned in the intro, I do destroy paper copies after I’ve digitised them and stored them securely using online cloud storage. This is due to the new GDPR regulations – it’s very important to store personal data in a responsible way, and paper copies with name and addresses can easily get into the wrong hands. 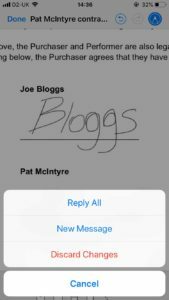 This entry was posted in News, Wedding Guitarist Blog and tagged contract, documents, how to, pdf, sign, tech by Pat McIntyre. Bookmark the permalink.